I was very kindly invited to my local Boots (Middlesbrough) store last month along with some fellow local bloggers to have a chat with the lovely girls on the No7 counter and have a good look through all of their new products available. The girls were so kind and welcoming and even had lots of sandwiches and cakes ready for us upstairs when we arrived. We were given a lovely goody bag with lots of perfume samples, a mini sample of their new Youthful Replenishing Facial Oil, a full size sample of their Beautiful Skin Overnight Radiance Boost* and any full size product of our choice. Generous ey? After spending an absolute age looking at all the gorgeous products and trying to decide what to choose, I finally decided I wanted to try one of their foundations. 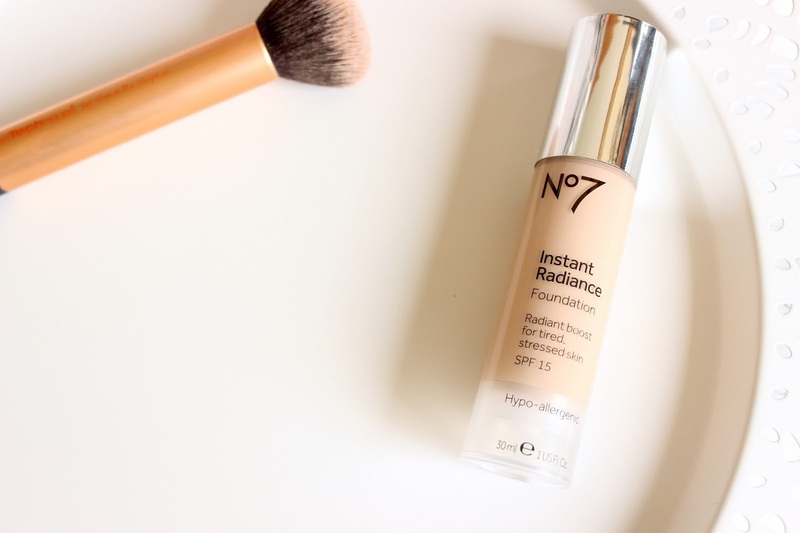 Being a massive lover of the radiant, glowy look, I had a chat with one of the lovely ladies and she advised me to go for the Instant Radiance Foundation*. If you didn't already know, No7 offer a 'Match Made' service, in which they use a machine on the skin which reads your tone and shade so you get a precise match for your foundation and concealer. I was matched to the shade Cool Ivory. Having a new baby and a toddler certainly means I have tired skin. I really need to start drinking more water as my skins really been struggling recently. I wanted something to give my skin a wake-me-up kind of glow but with decent coverage to hide those dark circles and pesky dehydration blemishes. The formula itself is really watery compared to most other foundations I own. Given that, I find it glides onto the skin really nicely and leaves a velvet soft finish. I would say the coverage is more on the sheer side, but with added concealer I really like the finish it gives and it leaves a lovely luminous glow to the skin without looking like a glitter ball. The shade is absolutely perfect for me too, so I would really recommend going and trying the Match Made service if you fancy trying one of their foundations or concealers. 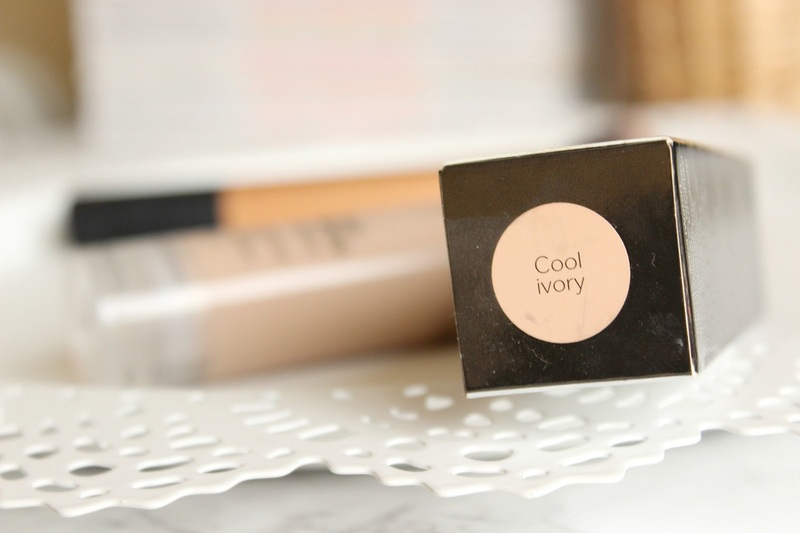 I think this is a gorgeous foundation and something I'll definitely be using a lot through the summer months. Massive thanks to Claire and the team over in Boots Middlesbrough for being so kind and welcoming, I'm sure you'll see plenty of me skulking around your store (I spend far too much time and money in the place to be honest, haha). This sounds great, I definitely need to try the Match Made service. No7 isn't a brand I pay much attention to, to be honest. I've heard a lot of good things about their foundation matching service, though and this one sounds just right for me. I'll have to go and pay a visit to my local counter, I think!